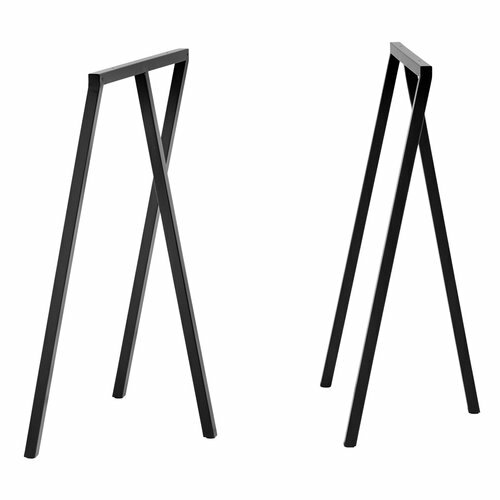 The Loop Stand frame is 95 cm high, and it comes in a set of two. Create a customized table with these trestles and a top in your favourite colour and material. 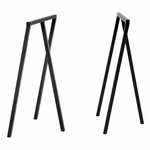 The Loop Stand collection is based on the modern, three-legged version of a traditional trestle that Leif Jørgensen designed for the Storm lifestyle and fashion store in Copenhagen. 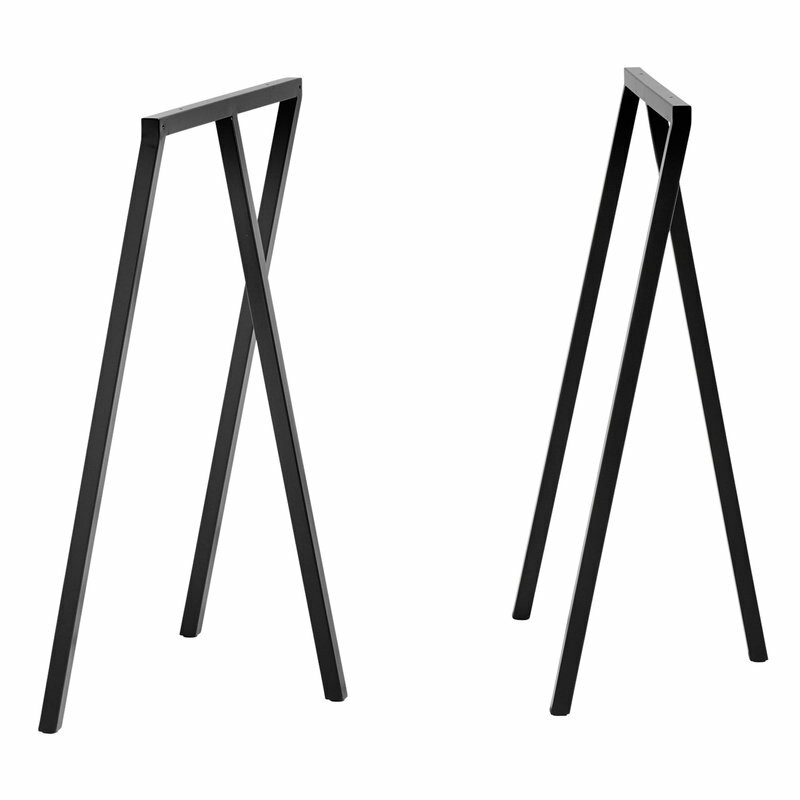 When combined with a tabletop the Loop Stand frame forms the Loop Stand table, and with added height, it transforms into a coat rack. Hay’s sculptural but affordable collection suits any space due to its simple and elegant design. The Danish architect Leif Jørgensen is especially known for furnishing the Diesel brand stores in Scandinavia. Nowadays he mainly cooperates with Hay, to whom he has designed the Loop-series among other things. Jørgensens work is characterized by coincidence of design and architecture. He thinks that the meaning of an object depends on its context. Jørgensen works with organic forms with an underlying sense for geometry.